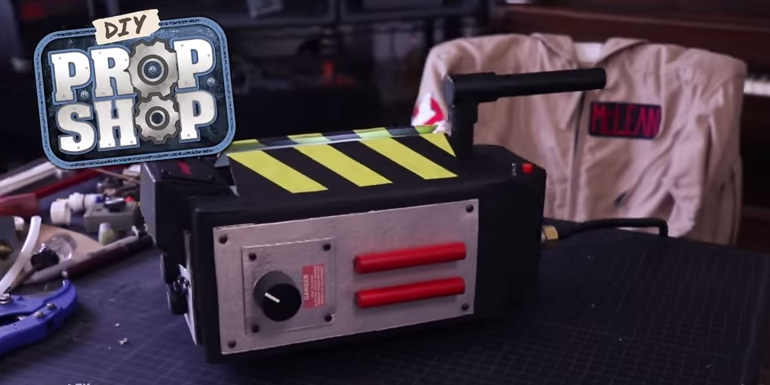 The DIY Prop Shop returns with yet another rad prop you can make yourself. In the past, they've showed us how to make a Back To The Future II hoverboard and also Ripley's gun from Aliens. The latest video now explains how to make a Ghostbusters ghost trap using about $25 worth of supplies like a cardboard box, cardboard pieces, tape, pvc pipe, casters, and other random pieces laying around your garage!